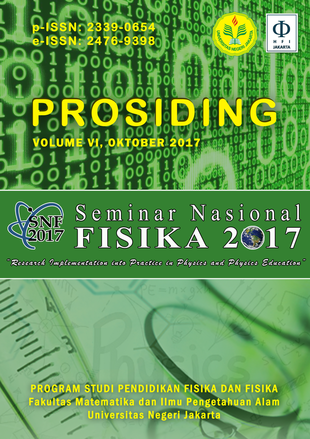 This study aimed to determine the effect of using the Starter Experiment Approach towards physics cognitive learning outcomes at SMA / SMK. This research will be held at SMA 105 Jakarta. The sample of this study is students in class X MIA A as an experimental class with 34 students and X MIA B as the control class with 32 students. The instrument consists of 25 multiple choice questions. Based on the analysis and t-test (hypothesis test) with a significance level of 5% and dk = 64, obtained ttable = 1.669 and tcalculate = 0.271 so Ho is accepted. The conclusion of this research, there is no significant influence between Starter Experiment Approach towards physics cognitiveÂ learning outcomesÂ at SMA / SMK on the material temperature and heat.